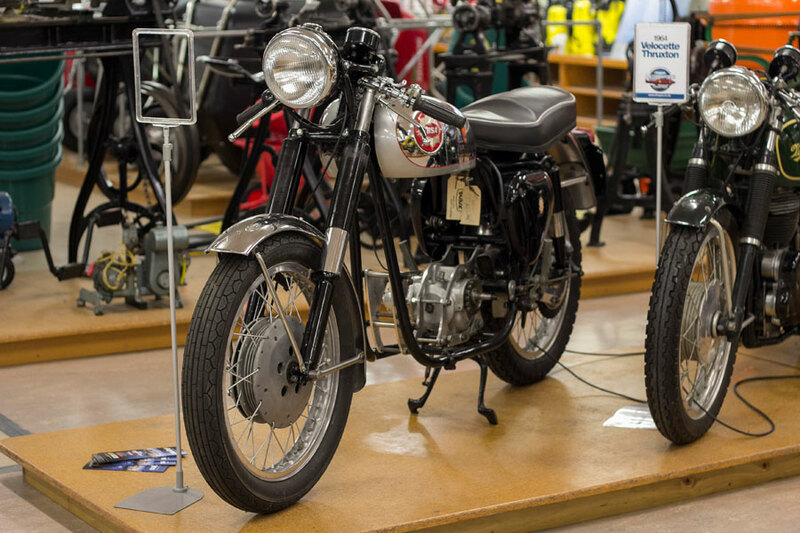 Our latest arrival to join the E Hayes Motorworks Collection on display in our Dee Street store is a 1959 BSA DBD34 500cc. 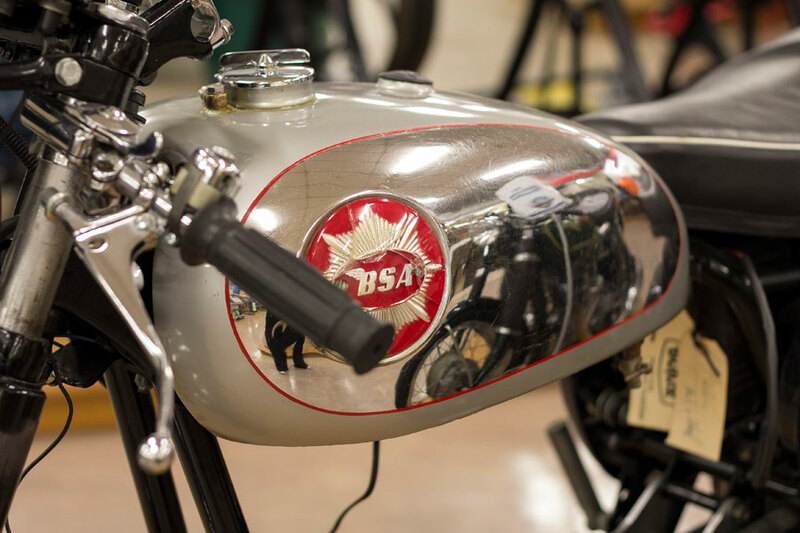 The BSA DBD34 500cc was one of BSA's Gold Star series production variations and first introduced in 1956, with clip-on handlebars, finned alloy engine, chrome plated fuel tank, 36 mm bell-mouth Amal carburettor and swept-back exhaust. The DBD34 had a 110 mph (180 km/h) top speed. The Gold Star dominated the Isle of Man Clubmans TT that year. 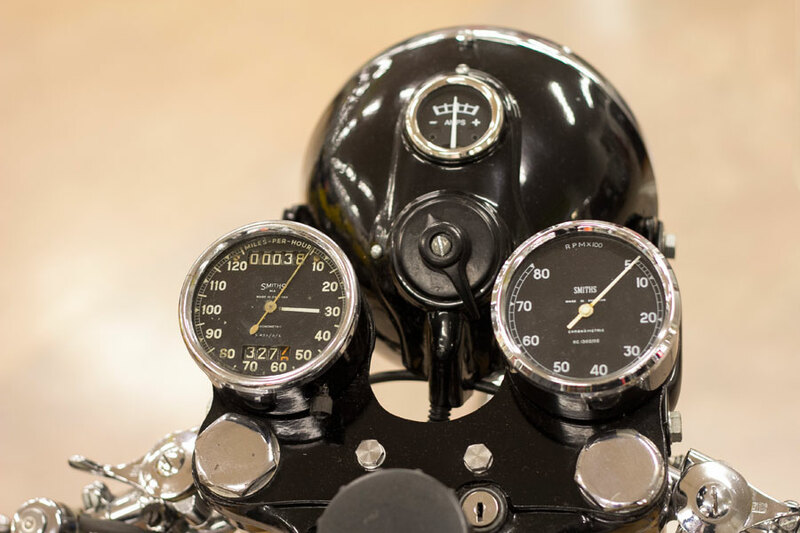 Later models had a very high first gear, enabling 60 mph (97 km/h) plus before changing up to second. Production ended in 1963. 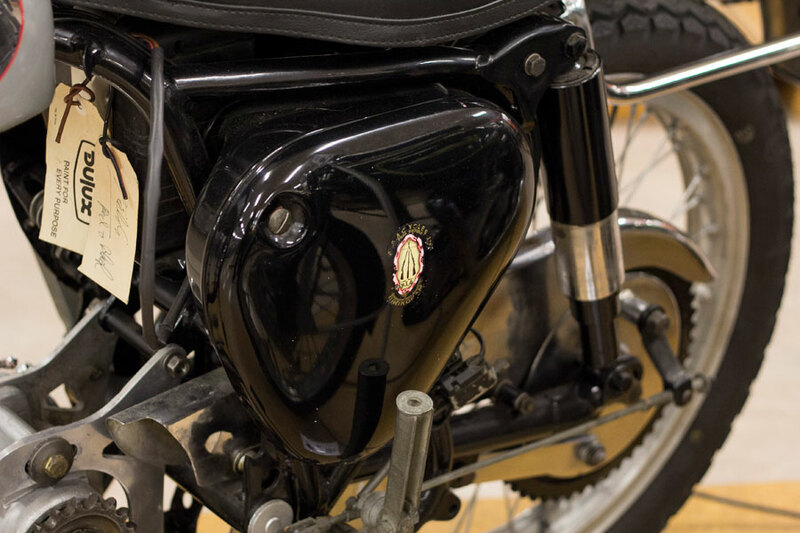 Our 1959 BSA DBD34 model is a restoration work which is still a ‘work in progress’.